The internal displacement in Colombia, as well as other tragedies, is the result of the war that has been waged between the government, the Revolutionary Armed Forces of Colombia (FARC) and the right-wing paramilitaries, during the last 50 years. The roots of the conflict began in the 1940s, when presidential candidate Jorge Eliecer Gaitán Ayala became the favorite as a populist candidate during the 1948 elections and it seemed he was going to win. On April 9, 1948, Gaitán was murdered. His murder unleashed a series of riots in Bogota called El Bogotazo, where approximately 5,000 people were killed in a 10-hour period, destroying the center of Bogotá. The violence in Bogotá eventually spread to the countryside where groups of conservative and liberal parties continued to fight in a period known as La Violencia that lasted until 1958 with more than 300,000 Colombians killed. 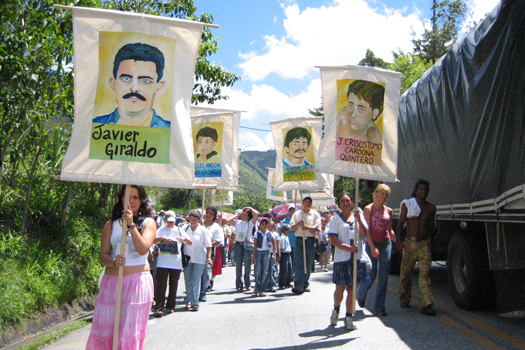 During La Violencia, the lack of state protection forced many rural communities to organize peasant self-defense groups that eventually became ideologically larger Marxist resistance movements such as the Revolutionary Armed Forces of Colombia (FARC) and the National Liberation Army ( ELN), among others. These self-defense groups designated themselves as protectors of the peasants, and eventually confronted the state while trying to reassert control in areas where self-defense groups had filled the vacuum to maintain law and order. 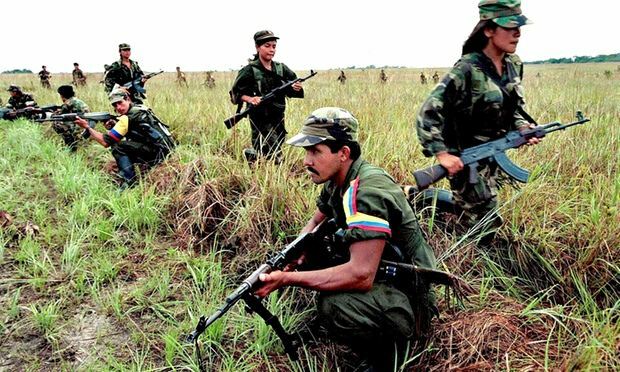 The largest self-defense group, the FARC, formally organized itself as an armed force in 1964 and has been the main faction currently fighting against the Colombian government. In response to the kidnapping and extortion of the FARC in the 1980s, rich ranchers and drug cartels financed private armies known as paramilitaries to resist the FARC. These paramilitary groups aligned themselves with the government and have been used to carry out massacres, rapes, kidnappings and intimidation of communities considered sympathetic to the FARC. This confrontation between the government, the FARC and the paramilitaries is the main cause of the displacement of Colombia, leaving about five million Colombians flee for their safety. The government and the Revolutionary Armed Forces of Colombia (FARC) reached an agreement in 2016 to end their 52-year armed conflict. The agreement provides a historic opportunity to curb human rights abuses, but its justice component contains serious deficiencies that risk allowing war criminals to escape justice. At the time of writing, the Special Jurisdiction for Peace, the judicial system that the parties created to judge abuses during the war, had not yet been set in motion. In June 2017, the United Nations mission in Colombia verified that the FARC had surrendered their weapons and demobilized. However, civilians continue to suffer serious abuses by the guerrillas of the National Liberation Army (ELN) and the successor paramilitary groups that emerged after a process of demobilization a decade ago. Likewise, there has been a group of ex-combatants of the FARC who took up arms, recognized as FARC Dissidents. The violence associated with the conflict has displaced more than 7.7 million Colombians since 1985, generating the world's largest population of internally displaced persons (IDPs). 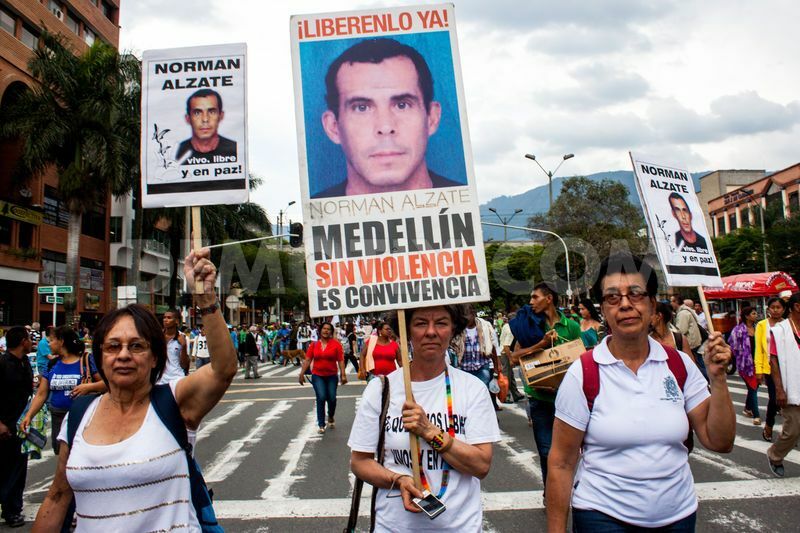 Human rights defenders, trade unionists, journalists, indigenous and Afro-Colombian leaders and other community activists face threats of death and violence, mostly from guerrillas and successor groups. The perpetrators of these abuses are rarely responsible .